Is BJP fishing in troubled waters? Incidents of eve-teasing and inter-religious love affairs are again keeping election bound Uttar Pradesh on the boil. While in Kawal village of Muzaffarnagar district, a 16-year-old Irshad was brutally strangled to death by his neighbours who were upset over the boy being romantically involved with their sister, in Aligarh a newly wed woman was allegedly molested by a group of hoodlums belonging to the minority community. Both the incidents have led to communal tensions. It was a similar incident in Kawal in August 2013, which led to a bloody communal riot resulting in the death of more than 40 people. Thousands were displaced in the aftermath. Both the incidents in Aligarh and Muzaffarnagar fit into the narrative of Love Jihad, a term coined by the Hindutva outfits. While there is no evidence of such a phenomenon, the Hindutva groups have been alleging that young men belonging to the minority community are targeting women from the majority community with a plan to ultimately convert them to Islam. The narrative had led to low level communal tensions in many parts of Uttar Pradesh, including in Muzaffarnagar and neighbouring Meerut in the run-up to the Lok Sabha elections. At the heart of the communal tension lies the apparent honour killing of a 16-year-old boy Irshad. He had gone missing on the night of 18 July. The police arrested two villagers Pawan and Manoj on 21 July. According to reports, Irshad was having an affair with their sister. Both the brothers have reportedly told the police that Irshad went to the girl's house on the night of 18 July. They claim that they caught Irshad in a compromising position with their sister. The infuriated brothers allegedly strangled 16-year-old Irshad and buried his body outside the village. Later, the dead body was recovered by the police. Irshad's family searched for him for two days. They tried to lodge a 'missing' complaint with the police, but cops allegedly told them to wait. This added fuel to the fire as the angry villagers surrounded the police station, forcing the police to act. Irshad's last location, based on his mobile phone, was traced to the girl's neighbourhood. This led the police to question the girl, who spilt the beans. Tension has gripped the village since the incident. However, the police is leaving nothing to chance. There is a heavy deployment of security forces in and around Kawal village. The family of the accused has been shifted from the village to a safer location. There is heavy police deployment in and around Kawal village to avoid any untoward incident following the boy's killing. 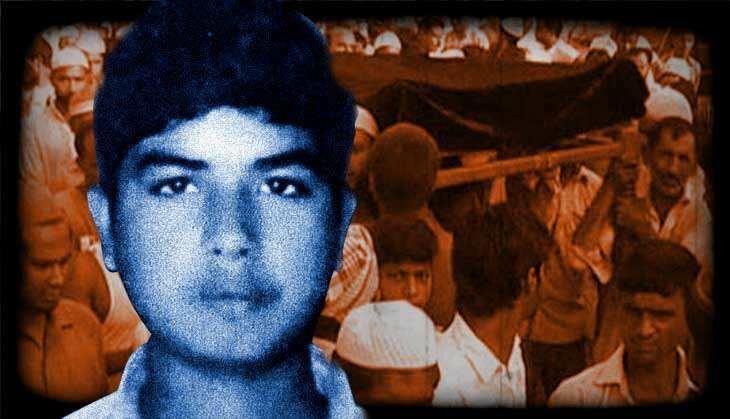 It was here in Kawal that the killing of three youths had triggered deadly riots in Muzaffarnagar and surrounding areas, resulting in the death of more than 60 people. Over 50,000 people had to leave their homes for temporary tents due to the violence. But this time, the police solved the case within 24 hours of registering the complaint. Irshad's dead body was recovered and last rites were performed under police security after the post mortem. According to Irshad's family, this was a planned killing as Irshad was called to the girl's house over the phone. The charge has been denied by the accused, maintaining that they committed the crime for the family's 'honour'. "We had promised the villagers to solve the case in 24 hours. People of all sections have promised to maintain harmony," says Muzaffarnagar SSP Deepak Kumar. An uneasy peace prevails in Kawal for now. But there are fears that some political elements might try to incite communal passions for vested interests. Fake videos and rumours had fanned the violence in 2013 as well. Tempers are running high in Babri Mandi area of Aligarh since Wednesday night, after a newly married woman, on her way back with her husband, was allegedly molested by a group of men belonging to the minority community. The woman alleged that a group of men waylaid the couple, allegedly took her to a secluded spot. When she shouted for help, a group of people gathered who again attacked her husband allegedly with a knife. "There was also stone pelting," says a local police official. He claims that things were brought under control within minutes of the incident by the local administration. "Two cases have been registered. One by the woman alleging molestation and another one by her father-in-law for arson and rioting," the official says while adding that two people have been arrested so far. Meanwhile, after the news of the incident, the local BJP unit swung into action and targeted the administration for siding with the accused. On Friday, a large group of people, led by BJP leaders, reportedly including the local Mayor, and others, met top officials of the district administration and gave them a signed affidavit that they want to sell off their properties in the area and move out because they fear for their lives. In a dramatic move, many even pasted the 'For Sale' sign on their business establishments, shops etc. "Our women cannot walk on the road. Only one accused, who surrendered, has been arrested. We will continue our protests till all the accused are arrested," Aligarh Mayor and BJP leader Shakuntala Bharti said. "The market is open now. Things are quiet," says the police official. "They have pasted those 'For Sale' posters and given the affidavit just to get some publicity so that prompt action is taken," the official says. Interestingly, last month in Kairana, a small town in Shamli district in the sugarcane belt, the BJP leader Hukum Singh had alleged that some Hindu families have been forced to sell off their properties and move out because of fear of local strongmen belonging to the majority community. While the list provided by Singh later turned out to be mostly false, with local claiming that those families have moved out long back and not under fear, the BJP tried hard to make it an issue. Even BJP president Amit Shah, in a party conclave in Allahabad, had said that incidents like the ones in Kairana should not be taken lightly. An academic from Shamli had then tried to explain the background of such events. "Whenever there is an incident involving Hindus and Muslims, the BJP starts backing the Hindu and the SP takes sides with the Muslims. This, effortlessly turns any small quarrel into a communal issue," he said while adding that people of the majority community were also unhappy with the local MLA in Shamli would often go to the local police station to favour the local criminals belonging to the minority community. "This kind of irresponsible behaviour feeds into the narrative of Muslim appeasement by the SP," he says which works for both the BJP and the SP. Aligarh and Muzaffarnagar, meanwhile, are hot spots when it comes to communal disturbances. While Aligarh has a history of deadly riots, Muzaffarnagar saw ghastly communal violence in September 2013. More in Catch - Why has Uttar Pradesh become a communal tinderbox?